A poly(itaconic acid-co-sodium vinylsulphonate) (PIASVS) was theoretically studied and experimentally evaluated as an inhibitory agent against the growth of calcium sulfate (CaSO4) crystals, in both non-saline and saline solutions. Density functional theory revealed that the CaSO4 crystal precipitation could be precluded through the effective pairing of Ca2+ and SO42− ions by carboxylic group polymer heads and that, moreover, the Na+ cations of the sulphonate polymer heads could be easily replaced by Ca2+. With PIASVS concentration of 50 ppm, lower than what is required in oil recovery processes, the polymer inhibited 33% in CaSO4 crystals growth in non-saline solution, but the salt increased the inhibitory performance of PIASVS up to 54%. Thermogravimetric analysis, scanning electron microscopy and X-ray diffractometry techniques showed that PIASVS changed the CaSO4 crystal morphology from a bassanite phase in non-saline solution to a bassanite/gypsum mix. The crystal morphology observations along with the conductivity measurements confirmed the pairing of ions from dissolved CaSO4 by NaCl and PIASVS. Dynamic light scattering revealed that, the PIASVS cluster size increased in non-saline solution but decreased in saline solutions, suggesting that NaCl increases the PIASVS solubility in aqueous solution. 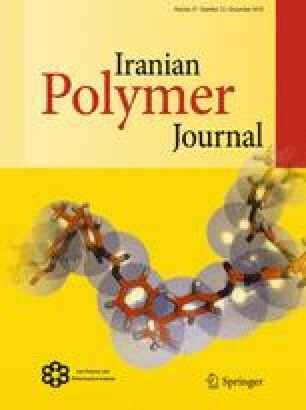 The performance of PIASVS as anti-scaling agent was found to be suitable for the conditions found in the Mexican oil reservoirs. The online version of this article ( https://doi.org/10.1007/s13726-018-0663-0) contains supplementary material, which is available to authorized users. The authors express gratitude to the Instituto Mexicano del Petróleo (IMP) for both providing facilities and granting permission to publish results. This work was supported by the IMP (Project H.61001) and CONACYT-SENER-HIDROCARBUROS Fund [Project 146735 (Y.00123 in the IMP)]. M. Pérez-Alvarez, E. Soto-Castruita and R. Cisneros-Dévora thank to Dirección de CátedrasCONACyT for the financial support granted during the research reported at this manuscript.